Social media is one of those topics and activities that seems to be everywhere today. It appears that most businesses have some sort of online presence beyond a website. Often, they are engaging people through Twitter, Facebook, Pinterest, Tumbler, and a number of other tools. The problem that many businesses and business owners face is determining how to justify the commitment required to build an audience and maintain a presence, then how to leverage these virtual relationships. Blogger Holly Glendale shares a post that details five different things about Twitter and ways that you can use them to enhance your business visibility and boost good feelings toward your brand. 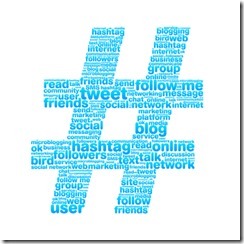 Why does your company need to be on Twitter? Why not? Twitter has more than 140 million active users in the US alone, Media Bistro notes, and if you’re selling a consumer product, those users could be your customers. Your company needs to have an official Twitter account. It’s useful for customer service, product awareness and brand engagement with followers. You also get to display the account on your website, business cards, company documents and more. Follow customers, industry watchers and competitors on your Twitter feed to get a glance at what’s happening in your industry. Don’t just tweet about product updates and press releases. Find interesting nuggets about your company’s history, founders, people, industry and more and tweet that information. By being more transparent and human in your tweets, you’ll gain followers eager to learn more about the company. Some companies offer their full Twitter stream on their websites, separate from the Twitter eco-sphere, where too many users and too much online noise can distract from what a company offers. Digital marketing agencies are quite adept at this — see this stream of tweets from iAcquire — and offer a clear, unfocused view of their tweets for other companies, clients and observers to see. Some companies choose to automate their Twitter feeds early on. If you’re going to automate your business twitter feed, mix the automated tweets in with more social musings from your social media team. Many business accounts have some sort of automation built into their feeds, but it’s best to not make that the sole information that your audience sees. Check out the ‘socialize’ function from Feedburner, which can integrate your auto feed with your Twitter account. It starts nearly immediately after you set up your account. Direct the tool to push out articles with a certain keyword onto your Twitter stream. If your company sells lawn mowers, you might want to include news articles with keywords like “home and garden” “lawn maintenance” and other similar topics. Businesses and corporate feeds are featuring Twitter’s Vine videos in its Twitter streams. Wired writes of a nearly 50-fold growth in the number of users active on the video-sharing app Vine. Its user base has grown from 77,000 users in January to nearly 4 million by June. Book publisher Simon and Schuster (Canada) posts Vine videos of many of its popular books ripe for beach reading. The Gap shows a mini-history of the evolution of their blue jeans from 1969 onward. 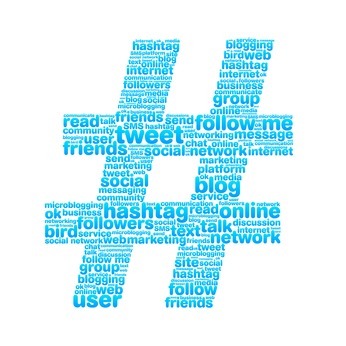 How is your brand viewed by Twitter users? Find out with the Search on Twitter function. Learn what industry watchers are saying about your company and/or products. That’s an important competitive advantage for product alignment and customer service. Holly works for a marketing/PR firm writing press releases, reviews and editorials about the entertainment marketing world.